From my 4th month of pregnancy onwards, most early mornings would find me sneaking downstairs in the dark, donning sweatpants, a t-shirt and hoodie. After drinking half a glass of water, then filling my large glass back up to the top, I entered my private exercise studio, otherwise known as my husband’s freezing cold, converted-garage music school studio. Pointing the space heater directly at me (until I warmed up enough each morning to push it away), I would stick a pregnancy exercise video in to the computer and spend 20-40 minutes pumping iron. working up a huge sweat. doing mild cardio and toning. When I was pregnant with my first child, I was very good about spending 30-60 minutes almost every single morning doing pregnancy yoga, or else going for a long walk in the park or along the river. I had nothing to compare that pregnancy with, but I diligently kept up with my workouts because that’s what the books told me to do and the yoga made my aching muscles more bearable. With my second and third pregnancies, I wasn’t very disciplined. I tried to stay active by taking my kids on walks to the park, gardening and other physical activities, but nothing consistent. I struggled with a great deal of sciatica and some minor blood sugar issues (with my second only), even though my pregnancies were still wonderfully healthy overall. I’m not always good about including regular exercise in my life, but during the month before I found out I was pregnant with baby #4, I had set some exercise goals and was pushing myself to truly get in shape. I bought Jillian Michael’s 30-Day Shred. I didn’t do it every single day, but at least 4 days a week. It was brutal, but I felt that my endurance and strength were increasing and I began to love doing it. 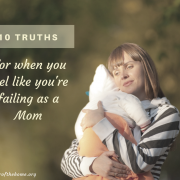 Once the first trimester morning sickness and fatigue hit this time around, I realized that although I had little energy to exercise, I really missed it and how good it had made me feel. I found that I lacked the energy to do much those first couple of months, but once the nausea began to decrease and I wasn’t dragging myself through each day, I knew that it was time to return to my morning exercise ritual. I had already ruled out going to a gym, because I find it too impractical trying to get out of the house as a mom of littles, and after doing a trial week at the gym my husband attends, realized that I didn’t like feeling self-conscious with others looking at me. The privacy of my own home felt best. I compared a lot of pregnancy videos, looking at video length, type of exercise, intensity, and video reviews. After coming off of the 30-Day Shred (which is very intense and pushes you hard), I knew that I didn’t want something too slow or gentle. I wanted to find an exercise video that still challenged me, pregnant or not. After much searching, I settled on Lindsay Brin’s Complete Pregnancy Fitness 4-DVD Workout Set. It includes cardio and toning routines for first, second and third trimester, as well as a post-natal bootcamp DVD to help you get back to your pre-baby body. Each video is about 40 minutes long, give or take. Some days I did a whole video, other days only half (due to lack of time, not because it was too strenuous). Overall, I’d give these videos a 7.5 or 8 out of 10. I still felt that I could have worked out at a higher intensity, and would have liked more intense cardio portions. Most days, I would follow whichever version of an exercise was the most intense or difficult, rather than doing any of the modifications, and sometimes I threw in a few extra reps of something if the transition between exercises felt too slow to me. By doing this, I was able to mostly achieve the intensity that I wanted, and still had the flexibility to choose something more moderate on days when I was really tired or feeling sore. I definitely appreciated that the videos went along with each trimester. 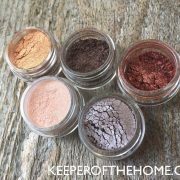 This made it easy to figure out how hard to push myself at each stage of my pregnancy, plus the variety was nice. There are plenty of other videos out there, and next time around (God willing), I’ll probably add another video or two to my repertoire just for variety. I still have my original Gaiam Pregnancy Yoga DVD, although I have to confess that I have only touched it twice this entire time. I prefer the cardio and toning much better. I liked that all I really needed was the video and a set of weights (or you can also use two sets- heavy and light). What Are the Benefits of Exercise in Pregnancy? For me, the most noticeable benefits were having more energy, and definitely decreased back pain and post-poned sciatica (it didn’t come until around 35 weeks this time, compared to 24-30 weeks in previous pregnancies). I also found that I was able to sleep more soundly than I have previously, and didn’t even start sleeping with an extra pillow (for leg/back support) until this past week, at 37 weeks. I’ve been completely comfortable with no extra support at all! I’ll be the first to admit that this is not an area of knowledge or expertise for me. These are just a few things that I’ve learned by reading some books on pregnancy exercise and through the DVD set I’ve been using. 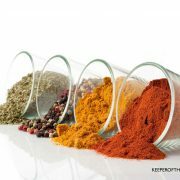 Particularly if you plan to do a long workout, eat something with both carbohydrates and protein before beginning. If I was only doing a shorter workout, I found that I could go without eating first, but would definitely need a hearty snack immediately after. Listen to your body. If you just don’t feel well that day (even if it’s something that you can usually handle without a problem), just take it easy. If something hurts, stop. I can usually tailor sit during pregnancy quite comfortably, but last week the baby dropped very low and it began to hurt, so I’ve taken it out of my routine. Always warm up, and finish with plenty of stretching. I began to find the stretching so beneficial that on days when I simply don’t have time for a proper workout, I still ensure that I fit in 5-10 minutes of stretching. Use videos/exercises intended for pregnancy. There are a lot of things to take into consideration with a body that is changing due to pregnancy. It’s best to follow the instruction of someone who is more knowledgable than you are about how to adapt exercises to make them safe. Expect that you will workout at a level slightly below what you are usually capable of. I was frustrated at not always breaking a sweat each time I worked out with my new videos, but the one time I did push myself to workout like I had before pregnancy (I definitely pushed myself too hard), I felt it and realized that I had to take it down a notch. Here are some more tips for exercising during pregnancy, and how to do it safely. Exercising throughout this pregnancy was one of the best decisions that I made. I’ve been a bit busier since December and struggling to get in as many workouts as I did during the fall, and the difference is noticeable to me. I actually begin to crave it when I miss more than a day or two. I’m 38 weeks pregnant now and plan to continue right up until the day I deliver. As soon as I get the go-ahead from my midwife, I will be back to moderate exercising for a faster recovery and to help prevent post-partum depression. For me, exercise has made such a difference. It isn’t miraculous and doesn’t solve every pregnancy struggle. Have I finally hit a wall of exhaustion? Yes. 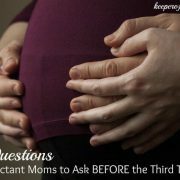 Did I ask my husband the other morning whether I was this miserably uncomfortable and emotional at the end of my other pregnancies? You bet I did. (And his answer? “Yes, sweetheart, every time.” It’s good to be reassured that this is par for the course!). Still, I’m a pregnancy exercise convert. You can bet you’ll find me back in the garage with my videos next time around. How about you? Have you exercised during your pregnancies and what results or benefits did you notice? I have not been good about exercise during this pregnancy. I occasionally will go on a power walk but that is maybe 2-3x a month (a month!!!!). This past week I felt convicted to get back into regular walks and also finally begin the prenatal yoga dvd that a friend gave me. 🙂 I am starting to swell at 27 weeks and I am hoping the extra movement will aid in this issue. Could you try swimming, or water exercise? It’s the only time in a pregnancy that you won’t feel “pregnant” – when you are in the water. I know, sciatica is totally awful. Have you been able to try some yoga instead of more intense exercise? I’ve done yoga more with my earlier pregnancies (in which I struggled with sciatica much more than this time around) and found that it was still hard to do on my bad days, but it did help. 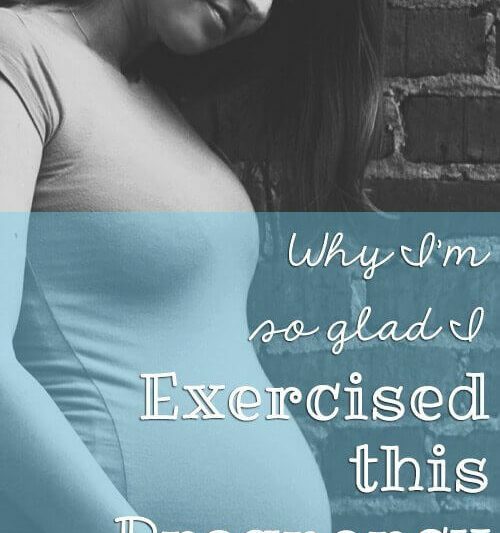 I agree that exercise has helped me to feel better this pregnancy. I have had no back pain at all. With my first, I suffered from about 20 weeks until the end. It was so bad I needed physical therapy. Now this time I have just walked a lot and that has been enough to keep me feeling good. Despite my efforts of exercising I still managed to be diagnosed with gestational diabetes, but it does help me keep good control of my sugars. I have not needed to go on medicine which I’m thankful for. Now I am just about 37 weeks and am having difficulty moving so I cannot walk like I’d like to. I get terrible hip and pelvic pain. I figure the baby is settling into my pelvis and causing the soreness. Not much I can do and walking makes me even more sore. I figure I made it this far, maybe I should just relax and take it easy from here on out. I had gestational, too, but between exercising & diet, my blood sugars never even looked like I had it. My midwife said not to beat yourself up for having it. I have a very strong family history. This time, my risks are higher w/ being over 30 & having had it once before…still praying I won’t get it! I used the Gaiam Yoga DVD with my last pregnancy and it made a huge difference! With my two previous pregnancies, I was not good about sticking to an exercise routine and my body certainly felt it! The third pregnancy went much smoother – less muscle aches and back pain – just because I did about 30 minutes of Yoga daily. I truly believe in the power of exercise! August 10! 🙂 I had my second pre-natal appointment today–heard baby’s heart beat! Congrats to you! We have our next appointment Monday to hear the heartbeat. Can’t wait! Did you like Leisa Hart’s video? I’m definitely interested in finding other videos for more variety next time around. Sorry I’m just now seeing this, Stephanie! I must have not subscribed to comments! Yes, I love her video! However, from the way you describe your exercise habits, it seems you are used to being more active than me (I really let exercise slide the last 15 months since having my second baby). I would consider it low-impact…perfect for me. And the yoga isn’t “real” yoga so much–at least it wasn’t difficult and there wasn’t much introspection? But I actually liked that because I actually had a couple other prenatal yoga dvds that made me feel like they were a little too new agey for me, if that makes sense. With my first pregnancy I was taking advanced Pilates until about 20 weeks when I couldn’t lie on my back anymore (or do the excercises from my large and in front baby bump). After that I continued at home with adjusted excercises my instructor had given me, and that my midwife approved. I also have two dogs who need walks every day to help keep me in shape. I felt great the whole pregnancy, minimum back pain and no sciatic pain. I am now 11 weeks pregnant and I have excercises about 4 times so far. I noticed that the constant nauseau and fatigue improve slightly when I did work out, but the first trimester discomforts still won out! Just this past week, I started noticing a little pick me up again and look forward to getting back into the groove. I use Liisa Hart’s Prenatal workout with a Salsa dance section for mild cardio and a yoga toning session. So far, I’ve just done one at a time, but I’m hoping that once I get into the routing to go through both routines daily. I’ll also be adding in a Pilate’s prenatal workout as that really helped last time with my back. So far it’s been great fun, as my son is 23 months old and loves to (try) the excercises with me. Sometimes we laugh more about the silly positions he gets himself in. I think the yoga helps on two fronts, the physical and the mental state. My prenatal yoga classes helped me focus on challenging poses and get through the discomfort. I felt more prepared for staying calm during childbirth from my yoga classes than I did from childbirth classes. I would like to add that it’s never too late to start! I’m 37 weeks along and have been doing mild exercise off and on the whole pregnancy. I haven’t been consistent, or worked myself very hard because, well, being this pregnant is hard! BUT, my blood pressure has slowly been going up and I was just at the threshold for hypertension (pre-e) when I started going to the indoor pool (and asking our church for prayer). Now my blood pressure is low again. Seriously, LOW!!! My husband insists I go every day now!!! I don’t mind. The pool is like being at the spa when you’re pregnant. It’s so good to feel weightless and I may move like a turtle on the sidewalk, but I sure zip around in the water! Anyway, hope this helps! When I was pregnant with my ds, I consistently did water aerobics twice a week from the time I found out I was pregnant (4 weeks) until the day before I delivered (38.5 weeks). I was a runner prior to getting pregnant, and my midwife advised against continuing that. I LOVED water aerobics because I felt so light and unencumbered in the water! My mom also joined me and it was a great way to spend time together. If I could get out of the house (childless!) more easily, water aerobics is something that I would love to try. I bet it would feel fantastic once you start to get really big and achy! After my first baby, I tried the 30 day shred also. I never was able to make it through that whole workout! 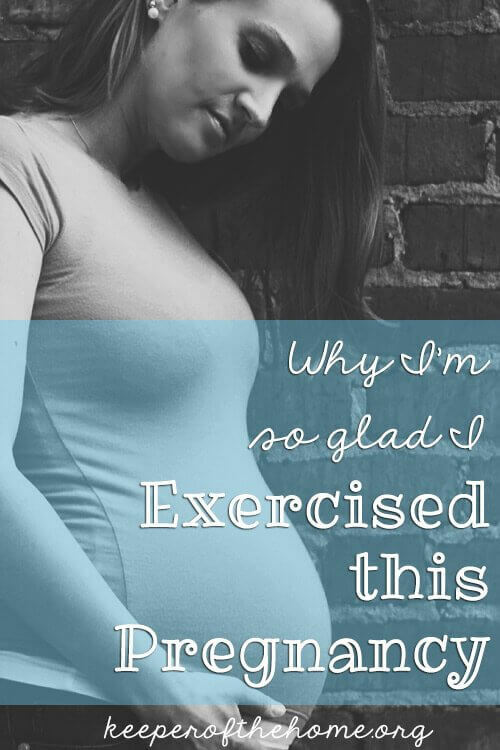 I don’t think I ever exercised a whole lot during my pregnancies. Maybe walking but that’s about it. I was probably to busy puking. I usually only gained about 10 lbs. because of all the morning sickness. I’ve never been a big exercise fan. I enjoy walking or playing tennis, but hitting the gym or going to Zumba class seems like torture. During my first trimester I was too tired and yucky to do much more than short walks 2-3 times a day. Now in my second trimester I enjoy alternating between walking and my Gaiam yoga DVD. Although I prefer to be outside to walk, the treadmill helps me keep up my pace and eliminates my excuse to just skip for the day because of the weather. I used Lindsay Brin’s workout too. I’m 3 weeks post partum now, and can’t wait to start the Post Partum Bootcamp workout. I have never been very good about exercising (ever. pregnant or not.) but looking ahead to a possible fourth pregnancy I know that it is something that I need to make a priority. Especially because my last pregnancy ended in a miscarriage at 17 weeks. 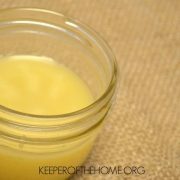 Without any breastfeeding to naturally help with weight loss, I have noticed that I am not returning to my pre pregnancy norm. Anyway, thanks for the encouragement. Oh how I wish I had been more active during my pregnancies. But chasing other kids around was the extent of it. Good luck with the labor and delivery, I am sure it will be easier because you stayed in shape. I have always, throughout my whole life, been an extremely active person with many sports, my own workouts and weights on my own time, etc. and I found that when I didn’t get to do it, it really affected my mood. A lot. With my second pregnancy, I resumed spinning (had a really hard delivery with #1 that took over 6 months to fully heal from) but then at week 17 had a bleeding issue and the doctor told me I wasn’t allowed to do it anymore until the baby was born! That was my wake-up call that I had been pushing myself much to hard, though even walking with a stroller a couple miles does not seem like a workout to me, and certainly was not helping me loose the last of the weight. When my second turned 2 I finally resumed working out like I had in the past, and I should have resumed it MUCH earlier, as my mood improved almost overnight, I was sleeping better, and loved all those endorphins! I also struggled with post-partum with both and of course exercising helps, but it’s actually getting out of the fog and just *doing* it that is the hard part. I think exercise is so important in whole-body well being, I’m glad to hear it has helped tremendously with this pregnancy! There are so many benefits. God bless the rest of your pregnant weeks and I pray you have a healthy and safe delivery! Thanks so much for sharing this!! We plan on starting to try for kids in the next couple of months and I am trying to get into shape NOW so that pregnancy will be easier. I’ve read that getting into shape before pregnancy can really help, and I am definitely not in shape now haha. I’m not overweight, I’m just totally out of shape and weak! I already have really bad lower back pain-So I know that I need to focus on exercise. Thanks for sharing the workout videos. I definitely want to get one (or many) when I’m pregnant. Thanks for the encouragement 🙂 Great article! This sounds great, but it brings up a concern I had never heard of until recently. While doing some research after our last miscarriage, I came across a study that indicated exercise was linked with a 10% greater chance of miscarriage. So, now I’m a little uncertain about it…. I would definitely be interested in reading that study, but I have never heard anything like that. Of course, excessive exercise isn’t a good idea, nor is it wise to jump in to an intense workout program when you haven’t been exercising prior to getting pregnant. It’s always wise to start slowly, use a lot of caution, and try to stick things things similar to what your body was used to before pregnancy (or slowly build up to something if exercising is new for you). And talk to your healthcare provider, like a midwife. But mine has been completely, 100% in support of my exercise habits and everything I’ve ever read has been in favor of exercise in pregnancy, provided it’s done sensibly. Good for you! I can say, after having 5 babies, that I would definitely recommend exercise before, during, and after pregnancy. I did not exercise with my first and had severe complications. After he was born, I exercised with all my others up until I delivered and noticed a huge difference, not to mention that I had zero complications with the other pregnancies (including my twins!). It definitely gives you more energy, helps with moodiness, and helps get your body back post-partum. I have walked a lot during all of my pregnancies, but did not always stretch enough. I found stretching to really help to both prevent and relieve sciatica. The other thing that helped with sciatica was deep muscle massage and/or chiropractic adjustment by someone carefully trained to work with pregnant women. I have not always been able to afford this, so the stretching was especially important then. I would definitely agree about chiropractic adjustments and massage. We don’t have medical coverage right now (other than our basic Canadian socialized medicine, which doesn’t cover extras like these), so I haven’t been able to do it as much as I have in previous pregnancies. But seeing my chiropractor when things got really bad, with the sciatica and also just time when I was very achy and felt “off”, has been so helpful. I’d like to see him once more before the birth, just to make sure that I’m as in-line as I can be, to hopefully help with a smooth birth. Great inspiration! Especially since you already have 3 kids to take care of. I really hope I can exercise through my next pregnancy. I got discouraged and stopped during my third because of pain due to separation of the pelvis. Ouch, that really hurts. I have some issues with my pelvic bones separating, too, especially as I near the end. It does make it all much harder, but I did feel that the work I put in when I was feeling better earlier on has helped to keep me feeling better and keep going as I near the end. I hope that you find you can keep going and find more relief from the pain this next time around! I love Lindsay Brin! I started with her DVDs after I had #3, 2 years ago. When I found out we were expecting #4 I bought her prenatal DVDs. I agree with you that sometimes I want something harder and those days I just do some of her other DVDs (which are awesome BTW!!). And when I am tired or just not into it I put in a prenatal DVD. At 29 weeks I find that the prenatal DVDs are enough for me right now. I highly reccomend her other DVDs for after you deliver. I have about 9 of her DVD’s and LOVE THEM. And just so you know the ‘normal’ DVDs are not easy like the prenatal. In fact the kick my tush like no other DVD has. Good to know! I’m really excited to try the post-natal bootcamp, and maybe I will look into some of her other videos for after baby (before I attempt the 30 day shred again!). just had my first baby four months ago and I exercised regularly throughout. even a few days before her birth (and after her due date) i was still riding my bike around the neighborhood. i think it helped me regulate weight gain (i gained about 25 pounds). moreover, i think it helped me have a speedy natural delivery: 8 hours of labor and about 30 minutes of pushing. it was great! and i was able to start working out again a few weeks after she was born. for those out there who are busy, keep in mind that even a 10 minute workout (esp if it is at a high intensity) can have really helpful effects! Thank you so much for sharing this! I’m in first trimester with baby#3, and the only way I’ve been able to make it throughout the day is the start my day with simple cardio (up and down my stairs several times) and Pilates. I can’t wait to have my energy back and be able to exercise more. I will check into those videos! Hello. I am currently 20 weeks pregnant and up to this point have not exercised. Do you think that if I started now it would still be beneficial and what sorts of exercises would you recommend? I am horribly out of shape and I’m worried that I’ll gain a lot of weight at hte end of my pregnancy like I did with my last one. I didn’t gain at all until the last couple weeks and then I gained a lot. I’d like to avoid that this time around. I know this post is over year old but I am so happy I found it. Thank you for posting it. I have to agree with what a lot of the other women said, it really is inspiring knowing you have 3 other little ones running around. I was also happy to read you were just coming off of the Jillian Michaels 30 day shred. I’ve been doing it for the past month and because I have not done it every day (4-5 times a week) I have not moved up to level 3 but I am comfortable at the intensity of level 2. I just realized I am pregnant with #3 (yay!) but unfortunately didn’t realize this while doing the Jillian Michael and now have to give it up….though it’s nice to know I was handling the intensity ok. Since this post is a year old, I was wondering if you or anyone else has found anything with a touch more intensity then the Lidsay Brin workouts? 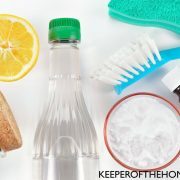 I don’t know that I’d need it as I am not a workout girl, it took a lot to get motivated for the Jillian Michaels to attempt to get off the Baby weight from #2. However,now that I am so dedicated to it, I want to make sure I take better care of myself with baby #3 here, especially to combat the postpartum depression I had with both of my other children. Thanks again for the post! So glad I found my morning inspiration!